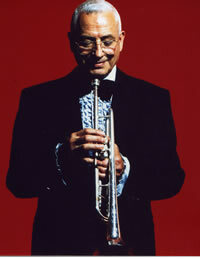 Al Porcino, 89, a trumpeter and a Local 802 member since 1968, died on Dec. 31. He is survived by his wife Erna Tom, daughters Debra Ogorzaly and Gia Krietzberg, four grandchildren and three great-grandchildren. Take 1. I first met Al in 1971 when he was looking for a place to rehearse his new big band. At the time I was a staff engineer at National Recording and I contrived a plan to let him rehearse on Saturdays and I would use it as a workshop for young engineers to record the band – straight to mono. Take 3. Well, the next rehearsal he called and from then on, I played with the band on each of its many incarnations in NYC, winding up with a two-week stint at the Maisonette with Mel Torme. Take 4. Al was hard on drummers – he kept looking for “Tiny Mel Lewis Kahn.” Years later, Mel joined the band for a recording session with Al Cohn. Playing with Mel, I understood what Al and Mel had in common – a shared feeling of time – never in a hurry. Take 5. Before Al, my experience had been that the lead trumpet player played louder and higher than anyone else. Not so with Al. He glued the section and the band together with his unique sound, impeccable jazz phrasing, and unbelievable consistency. His gift was getting it right and keeping it that way performance after performance. Take 6. After a tour with the Thad Jones/Mel Lewis band in 1977, he remained in Germany, married a terrific German woman, Erna Tom, and started yet another big band. He had a collection of “the world’s one-hundred greatest arrangements” and whipped his Munich band into a real jazz ensemble. Take 7. Through the years he was approached by several German university music programs to buy some of the arrangements in his book. He did sell them, but uniquely in the music business, he sent all the proceeds to the arrangers or their heirs. Take 9. His pithy one-liners, delivered as only he could, will live on through those who worked with him. Take 10. Al was a good and loyal friend. I will miss him.